It became a famous political rallying cry in the US, and politicians here are going to be hearing it an awful lot on the doorsteps before the local and European elections. 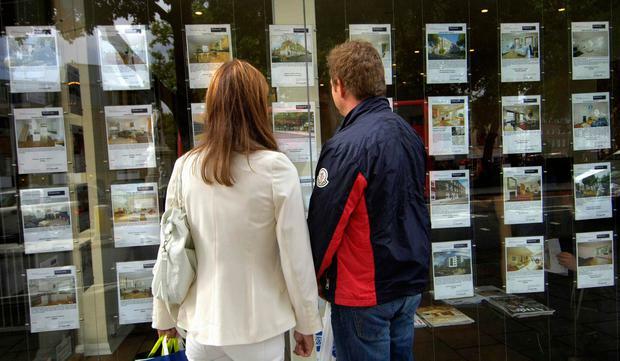 There are now three distinct housing markets in Ireland. The traditional mortgage market, where qualifying buyers who can buy their own homes will see major benefits over time as their accommodation costs shrink to zero. Renters of social housing who qualify and get housed have by far the lowest costs of anyone both in real terms and as a percentage of income - spending as little as 12pc of their income on rent. Third comes the private rental free for all, where rents are high and rising and tenancies are short and unpredictable. The big change in recent years - and it is accelerating - is more people are renting and renting for longer. Rents rises in recent years have been off already high levels. Very large numbers of people are now paying so much of their income in rent they in effect are underspending in other areas - which is bad for the wider economy, bad for them personally and politically unsustainable. A raft of factors - including land prices, high regulatory specifications for new builds, and strict credit standards have combined to drive house purchases out of the reach of large numbers of workers. That is most extreme in Dublin, where four out of 10 people work, and it is spreading elsewhere. But if home buying is out of reach, the private sector alternatives for most renters are dire. So dire indeed that vast sums are being funnelled from the US and Europe to benefit from the high rents paid here. That private sector investment should in theory boost supply, and bring down rents. But don't bet on it. Research published yesterday in the 'Economic and Social Review' shows private sector rents have always been high here - it's a feature not a bug, as technology types say of characteristics that are inherent in products. Irish rental costs don't appear to be cyclical - they don't go up and down with economic fluctuations. By and large the rent just goes up. Stop-gap measures like rent caps won't cut it long term. Potential solutions, according to the ESRI researchers, are to build more social housing, develop more cost rental schemes - where rents are linked to building costs not what landlords can get on a given day, as well as more co-operative housing schemes. An affordable rental model won't just mean building more housing. It potentially means a whole raft of mechanisms to plan for and supply homes, and to decide who gets to live in those homes, and then to set rents for what may quickly be a majority of people, certainly in urban areas where young families are already mainly concentrated. That will include assessing affordability at household level - which could potentially include ratcheting rents up and down as family incomes change. That's a huge bureaucratic challenge in its own right. And how might mortgage payers react if renters under an affordable model were to be "rewarded" with reduced rents when one half of a couple decided to take time off work to look after children? Or "punished" with higher rents when their income improves? All of those options are going to be intensely, expensively, hands-on compared to facilitating individual home buyers. Dramatic change is under way in the housing market. It is not clear at all that policy makers have thought through the implications. Ironically, the shift to a mass rental market characterised by big institutional landlords is set to mean more not less State intervention; that is, if we are really going to accept a model where buying is out of reach of ordinary workers.